Our BIM models are hosted on our partner portal www.bimobject.com. Click on the image below to open the dormakaba BIM catalogue. In order to download our BIM-objects, you have to register on the portal. The registration ensures timely information about updates and new objects and is your channel to our BIM experts. Our comprehensive BIM download service covers the majority of the products in the dormakaba portfolio. 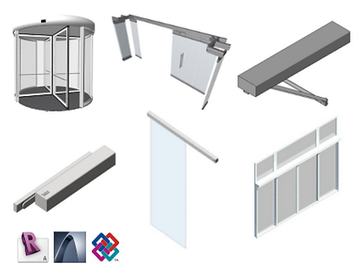 The BIM objects are available in various file formats (Graphisoft ArchiCAD, Autodesk Revit). At dormakaba, we are always interested in how to make our services better. *Please note that the dormakaba BIM objects available on this site are not designed to meet special local legislation. Please consult your local dormakaba organization for country specific product information.